#1. And this would be enough, even if it were the only attribute: the paper shapes stay put while you baste. Just a touch with a hot iron, and there is absolutely no slipping, and no need for pins or paper clips to hold the fabric still as you baste. #2. 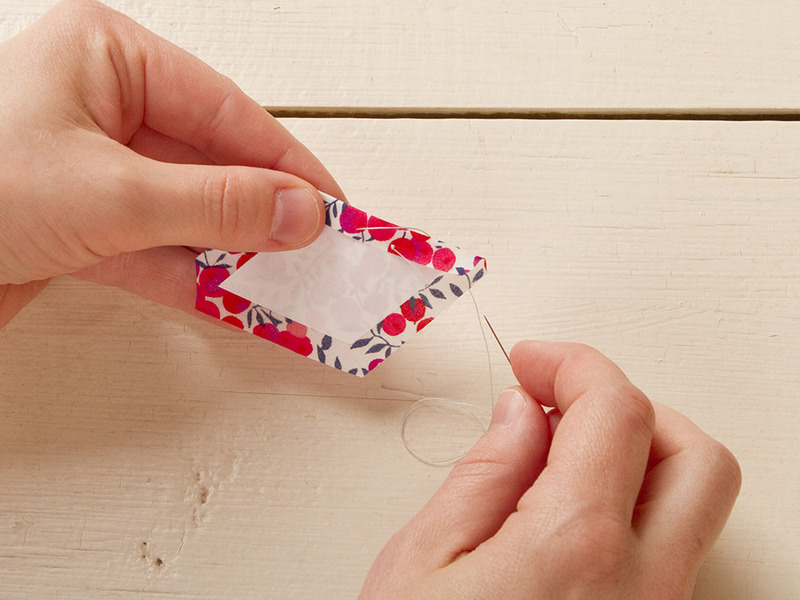 Fabric cutting is a snap. Other methods ask you to get a separate plastic template and trace around it onto the fabric, adding time to every piece you prepare. When a freezer paper template is ironed into your fabric, it is easy to eyeball a generous 1/4 inch seam allowance as you cut, no marking necessary! #3. Saves fabric. 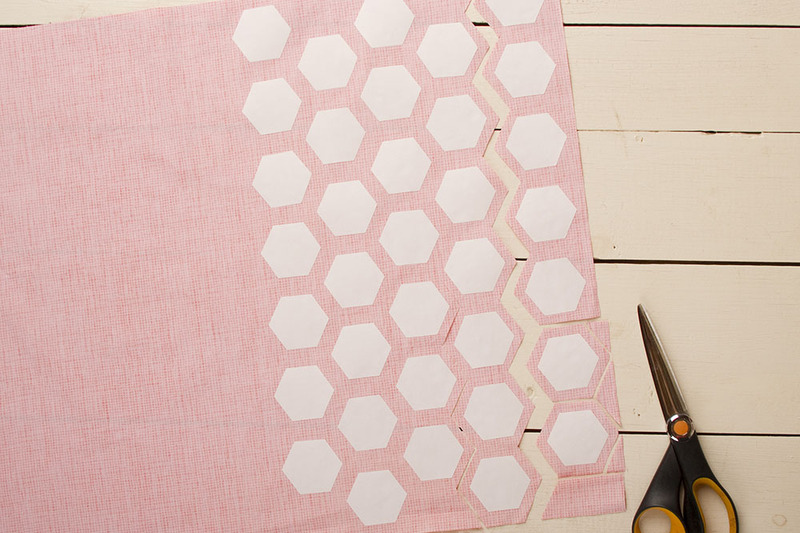 If you are rotary cutting squares and then trimming them down into hexagons, you are wasting a lot of fabric! 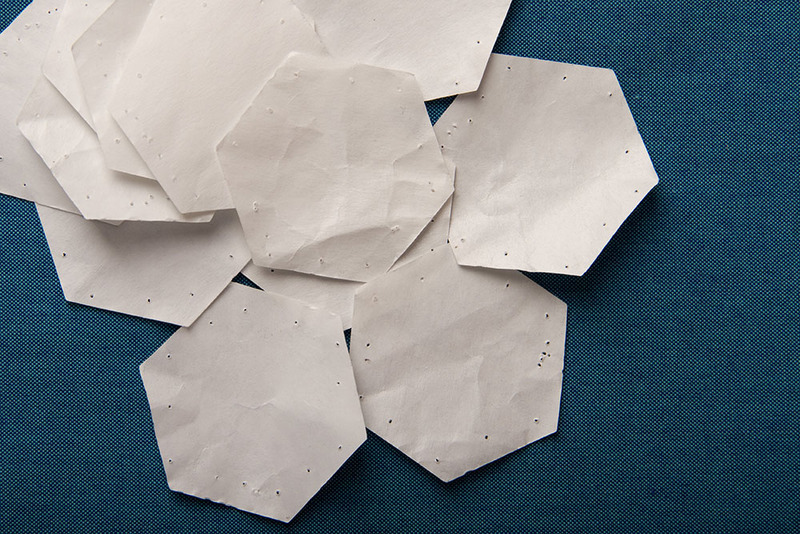 With Snowflakes, you can arrange the pieces in a tessellating fashion, then cut them out zig-zag style without any waste. 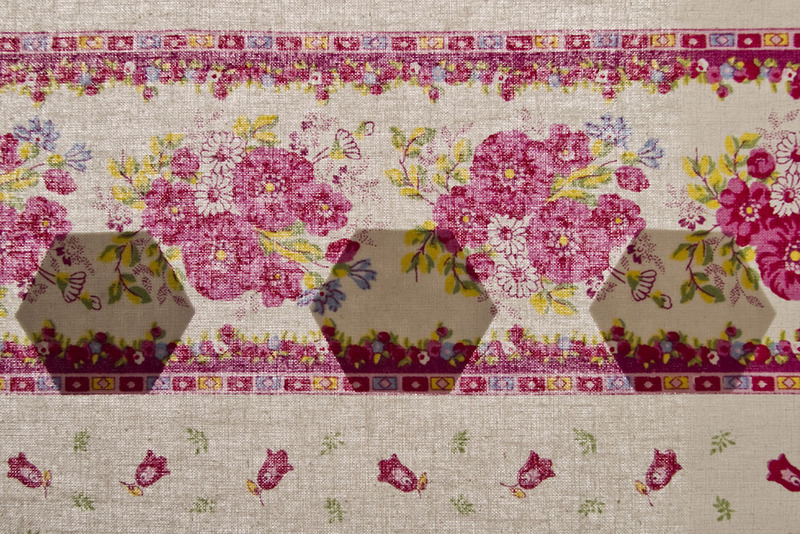 If you need a large number of shapes from one fabric, you will save a lot of fabric cutting this way. #4 precise fussy cutting. Iron the shape onto the reverse side of your fabric, then hold up to the light from the right side to see exactly where the fabric design will fall. #5 Reusable. I use my Snowflakes many times before retiring them. Even with the holes from basting, they still iron on many times before being exhausted. Check out Snowflakes freezer paper shapes for yourself here in my shop! A couple of weeks ago (wow, was it really like a month ago?) 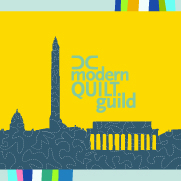 the DC Modern Quilt Guild had our annual outdoor sewing meeting. I love this meeting, even though this time it made me hate the DC Metro sooo much… What would have taken me an hour to drive, on the Metro was 1.5 hours on the way in to the city and 2.5 hours on the way out. 45 minutes of which were in a sweltering rail car with the A/C out… Arrgh. But I digress. We have a lovely space where we like to meet in the US Botanical Gardens. I was pleased to be asked to demo English Paper Piecing this time! How fun that was, to have so many other people around me catching the EPP bug! I brought some bits of fabric for everyone to practice on, and at the end of the day there were lots of basted hexies left behind, some even joined into pairs or trios. What to do with them? Certainly not throw them out! 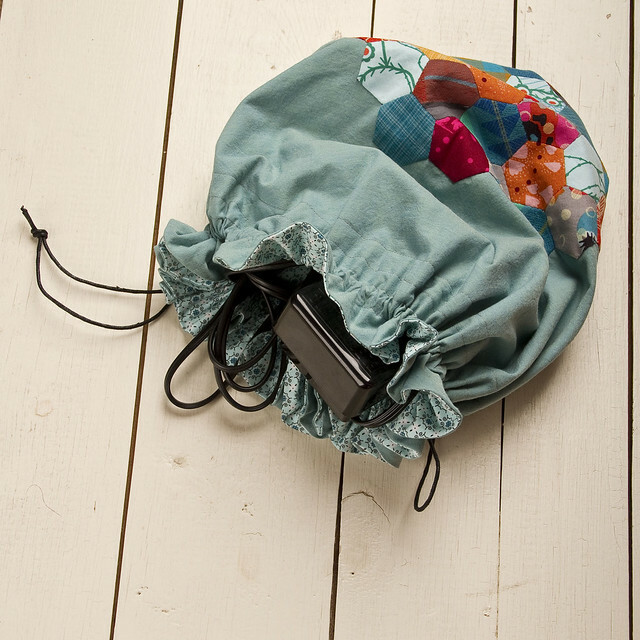 I joined then all together and made this little pouch as a little memento of the day. 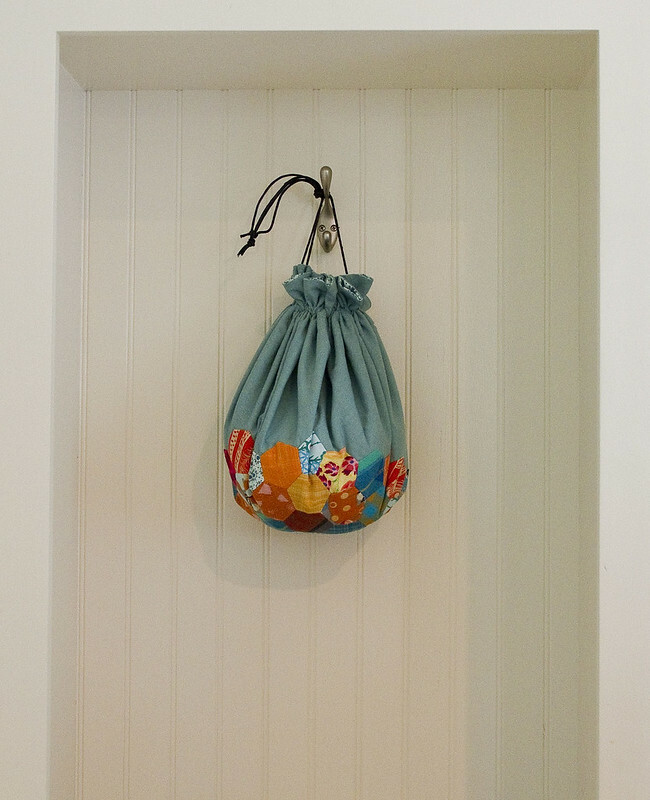 I’m thinking this will be the perfect size to transport sewing machine and extension cords to sewing meetings. If it doesn’t get swiped for My Little Pony figurines first! 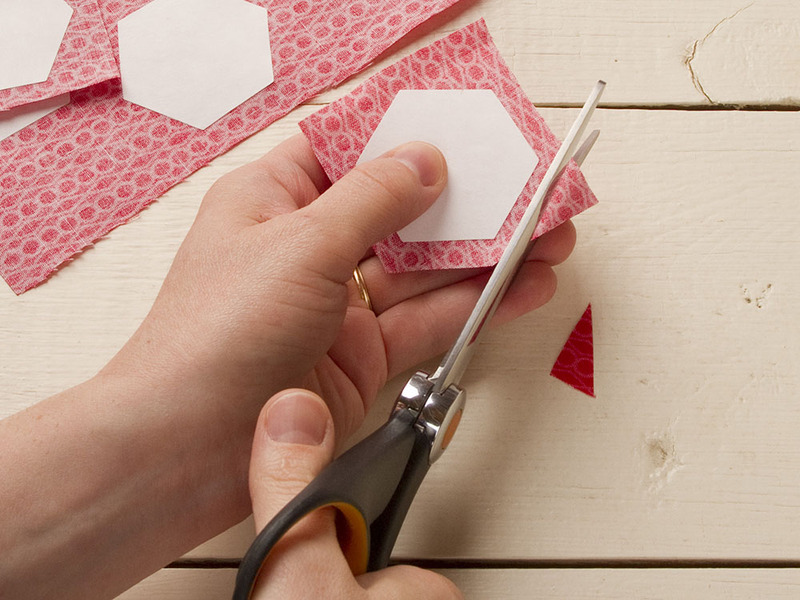 Would your guild or shop like me to demo English Paper Piecing with freezer paper shapes? Please get in touch! I was out of waiting-in-the-airport type projects so, (oh darn,) I had to start something new! So excited about this one! 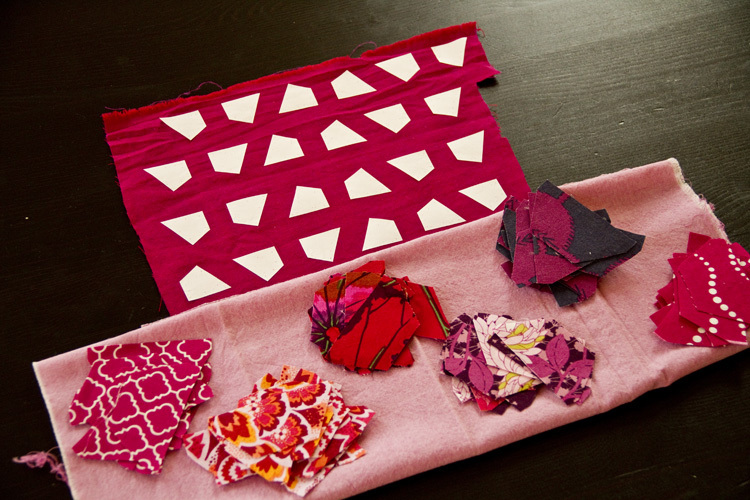 It’s my new favorite color palette: fuchsia, thistle, red, plum. A little flash of tangerine. So intense. 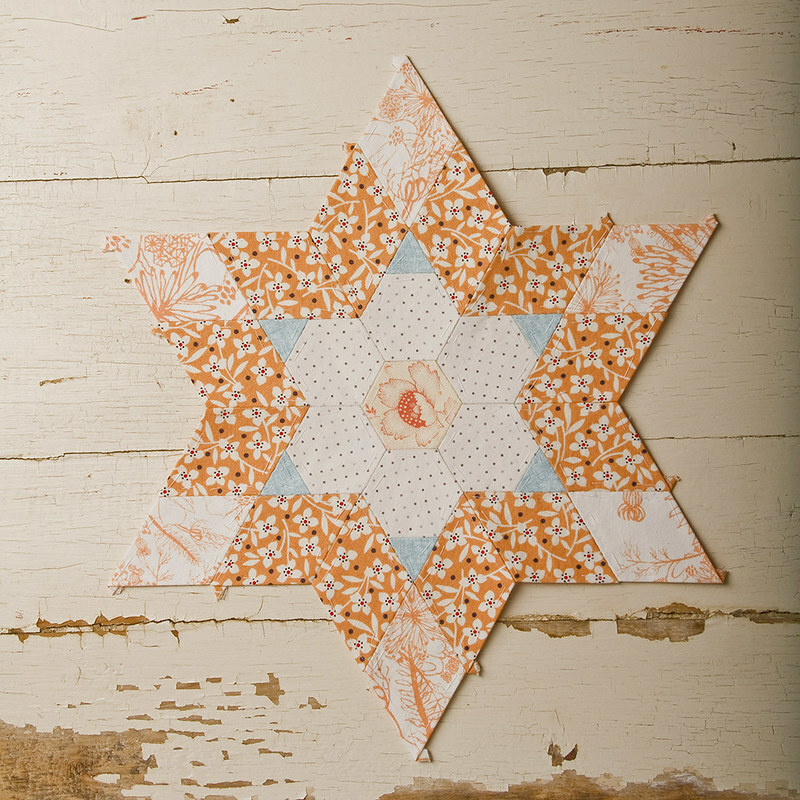 I’m thinking it will be a table runner, English paper pieced and appliqued. Can’t wait to get started!